Craven Vale estate and The Valley:click to open a large version in a new window. 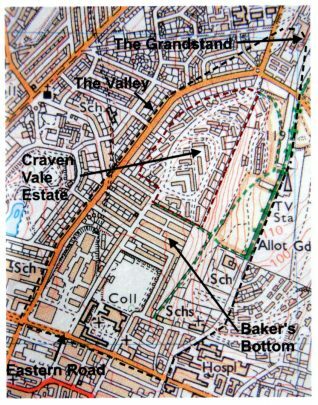 Thanks to a grant from the National Heritage Lottery Fund, Craven Vale Community Association have produced and published an extensive history of Craven Vale and Baker’s Bottom. The book marks the 60th anniversary of the building of the Craven Vale Estate and charts its history and development through the eyes of residents old and new. Not an unusual occurrence, publishing a local history book you might say – but this book is very special – it is free to every household in the area. ‘Pride of our Valley: Celebrating the Diamond Jubilee of the Craven Vale Estate, Brighton, 1953-2013’ is a fascinating book, even for those of us not associated with the area. Not only does it chronicle the experiences and reminiscences of residents, it also includes a history of the area which ranges from Brighton racecourse to Eastern Road. Amongst the background history of the valley, there are many interesting facts on the geological development of the area; who would have thought there were once woolly mammoths on Race Hill. If you are a resident of the area you can get a free copy of this interesting book. 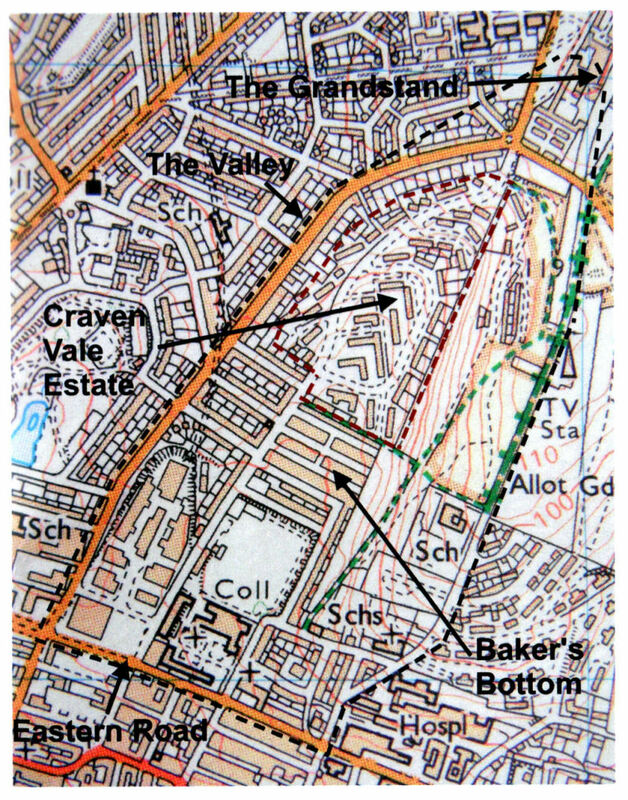 Contact the Craven Vale Community Association by emailing them on usethevale@aol.com or contact them via their website.